Nina Ricci presents its new perfume Nina Fantasy – the new flanker to 2006’s Nina Perfume for Women. 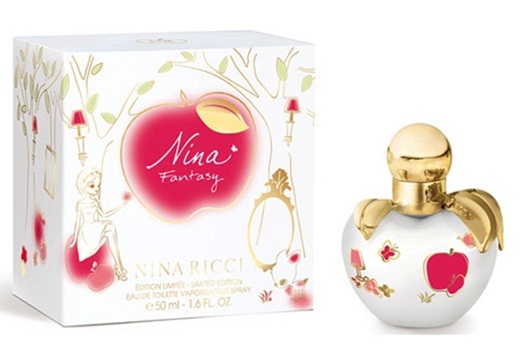 Nina Ricci Nina Fantasy is a fruity/floral perfume that will come in a limited-edition number. The new Nina Ricci Nina Fantasy perfume describes feelings of the much expected spring when everything blossoms and revives. This perfume will draw any wearer in a dream world full of flowers and happy feelings. Nina Ricci Nina Fantasy is soaked with juicy notes of bergamot, mandarin and pear along with cherry blossom, rose, heliotrope and brown sugar. 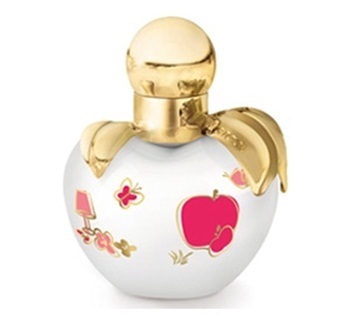 Nina Fantasy has the same apple bottle design, updated with pink/golden applications and a golden stopper. The face of this fragrance is beautiful model Florrie Arnold. Nina Ricci Nina Fantasy will be available in 50 ml Eau de Toilette. Hi, can you tell me from what webpage is the last photo? Unfortunately, I don’t remember where I have found this photo, however you can search it through google writing Nina Ricci Nina Fantasy.